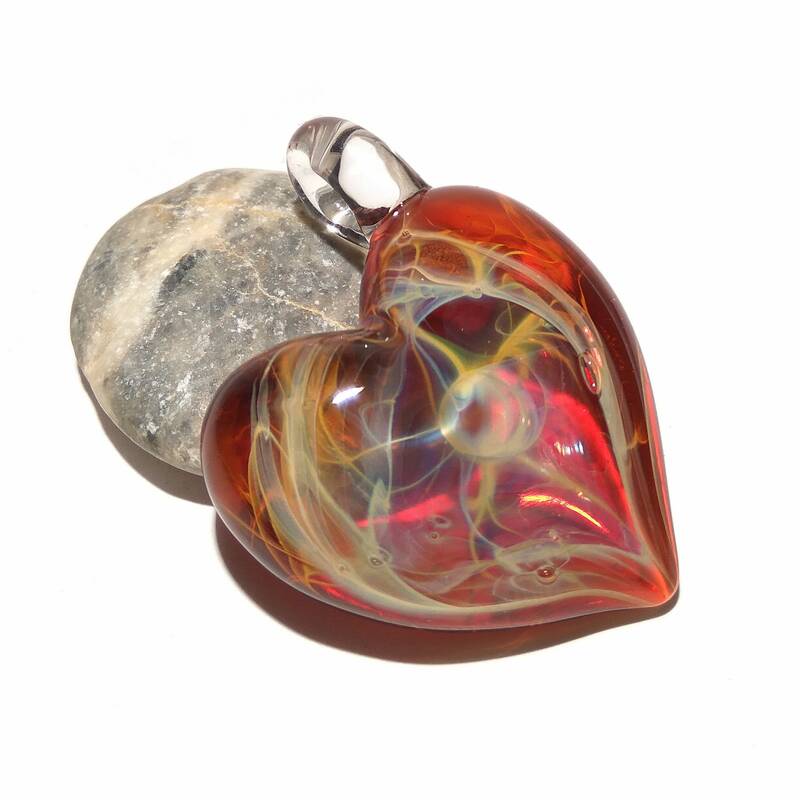 This bright heart pendant is made from garnet red and amber borosilicate glass with details of pure fine silver fuming. 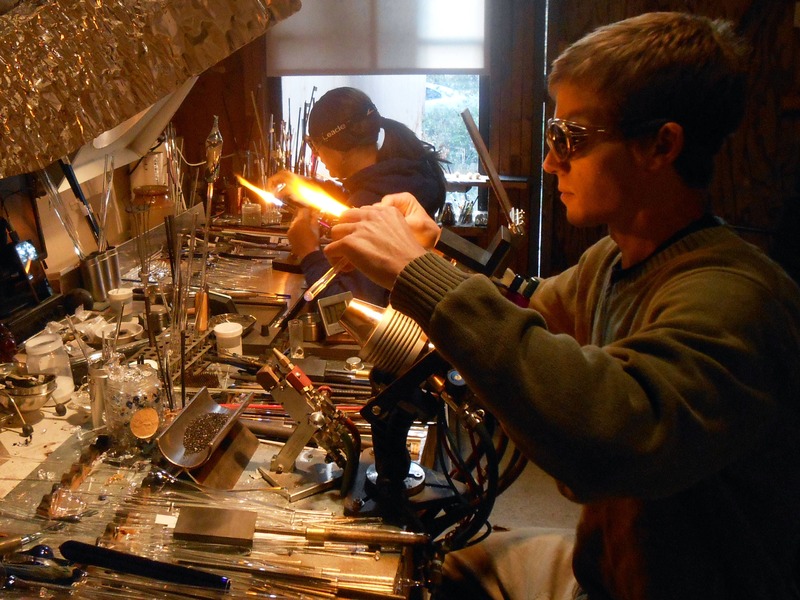 A one of a kind piece made with an oxygen propane torch. 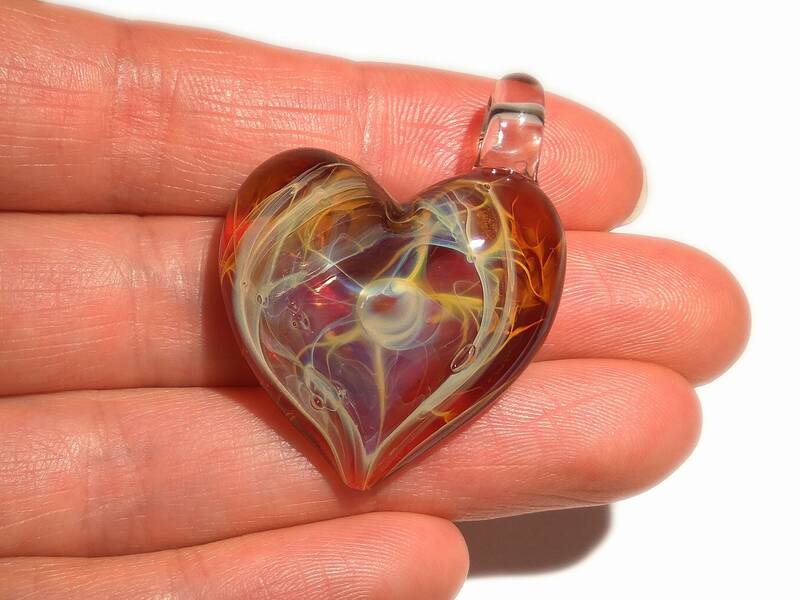 This heart necklace is a handmade original work of art reminding us of the vast and magical world of thoughts and matter. 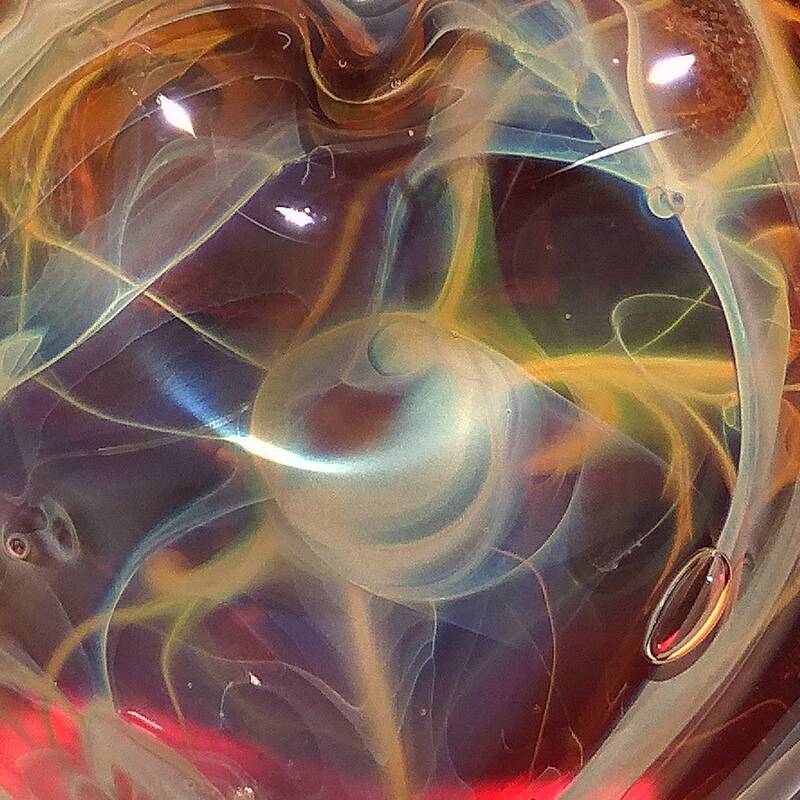 Type "Universe Filament" in Google for more info. Each piece is artist signed! 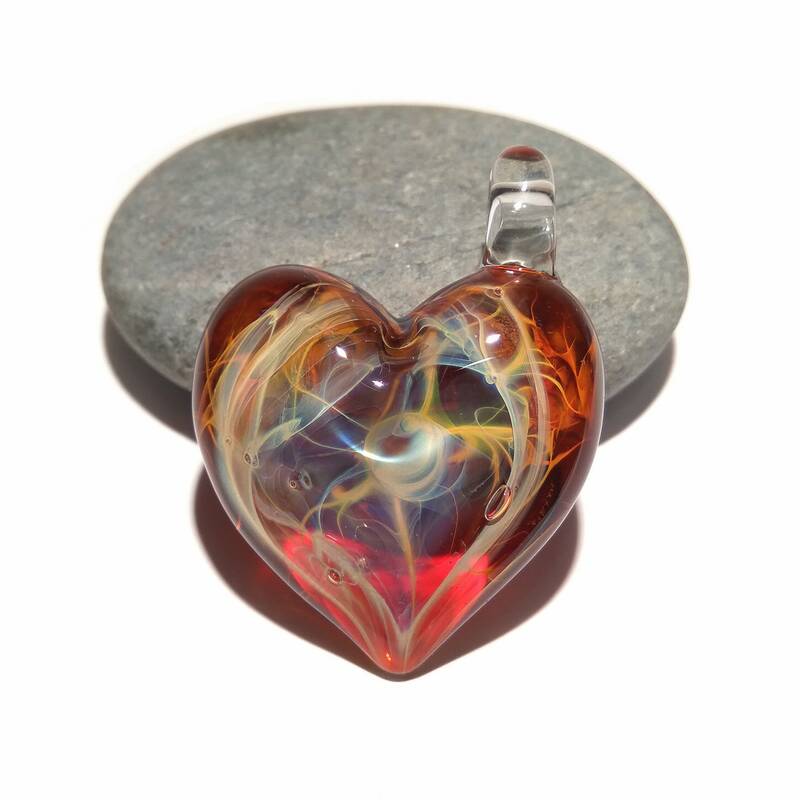 This glass art pendant has a strong clear glass loop and comes with a satin black or blue cord that has a double adjustable slip knot. This piece would also look beautiful on a silver or gold chain. 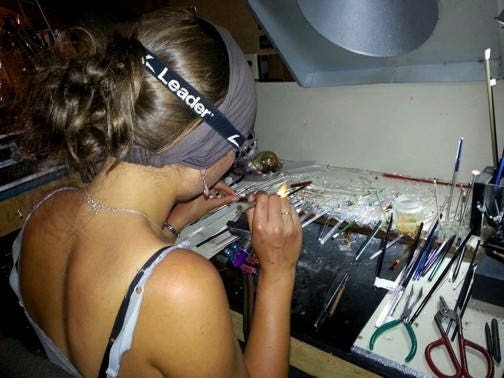 It is light to wear and gives an unforgettable focus point. It has a high gloss finish and is smooth to touch. 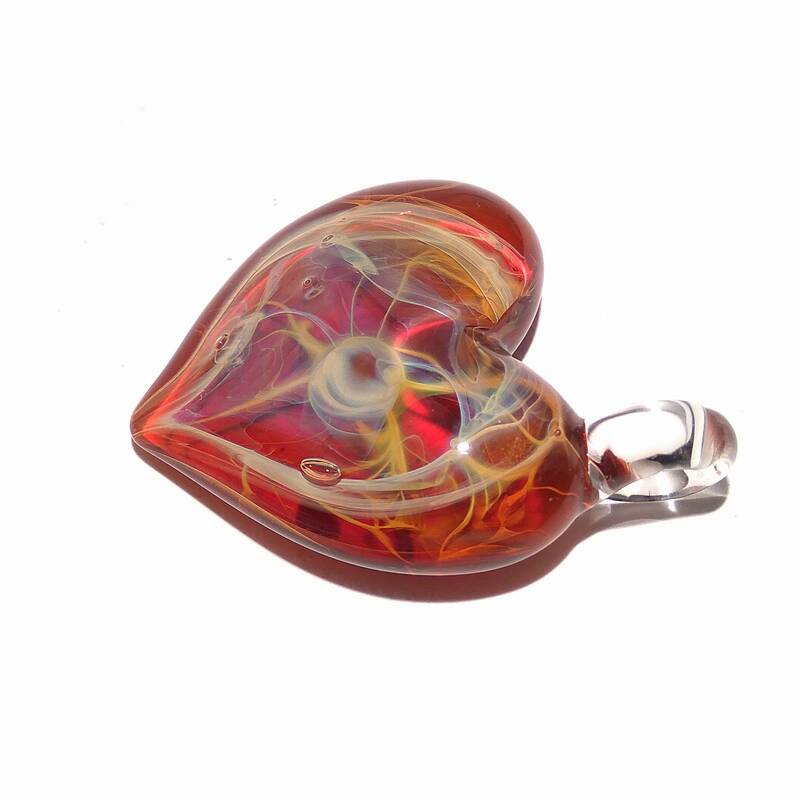 The heart represents the center of emotion, adoration, affection and love.